“Men are never ugly”. 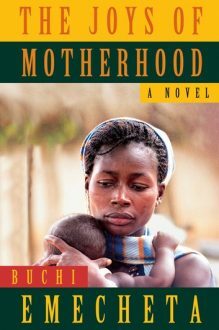 Nnu Ego makes this statement in Buchi Emecheta’s novel, The Joys of Motherhood, set during the colonial period in Nigeria. In a scene between two friends, the protagonist Nnu Ego had recently lost her first child, and Ato, her childhood friend comes to comfort her. In a memorable moment, they are sitting in the protagonist’s home talking about the pain she has experienced, which drove her to attempt suicide. Now everyone, including her husband, thinks she has gone mad. In response, Ato says, “he can talk, that fat fufu dough of a man.” Nnu Ego, who has never been shy about her distaste of her husband’s appearance (whom she elsewhere describes as “a man with a belly like a pregnant cow”) responds, “No. He is a man, and you know men are never ugly”. In the same passage while the women talk about this physically unattractive man and the “ugly” ways he treated his grieving wife, his behaviour was seen as excusable because he had paid her bride price and earns a salary, which allows him to look after his wife. This is consistent with idioms such as ‘Ubuhle bendoda, izinkomozakhe’ (a man’s beauty is in his wealth). And then they got fussy and they don’t remember that”. From the fictional men in Emecheta’s novel to men like Jay-Z, money seems to play a role in ‘making a man’. The ability to show that one has money is just as important as having it. In the (South) African context, paying lobolo has been closely linked to a man’s ability to demonstrate that he has wealth. In a recent roundtable discussion on lobolo, African feminisms, masculinities and femininities, hosted by the Research Unit on Men and Masculinities of the Institute of Social and Health Sciences and SAMRC-UNISA’s Violence Injury and Peace Research Unit, the issue of lobolo as a symbol of a man’s ability to provide was central. This “contemporary” practice contradicts the “traditional” practice of lobolo. Traditionally when a young man wished to get married it was his family’s responsibility to provide the lobolo. Depending on the social status of the bride’s family, the amount will be set for lobolo and the groom’s family would pay it to demonstrate to the bride’s family that their daughter was marrying into a family that would be able to take care of her. Lobolo has shifted from being explicitly about the social positions of the families and now centres men’s social position and the groom’s personal ability to pay the required amount. For example, in 2016 it was rumoured that a prominent soccer player was set to pay R1-million for his then girlfriend (a popular television personality). More recently, in July 2018, former president Jacob Zuma came under scrutiny for having failed to pay lobolo for his latest bride. In both examples, whether factual or not, the focus was about the two men. The Zuma story centred around his failure to pay the money but the soccer player’s story focused on his ability to pay the requested amount. It seems to have become more acceptable for families to request a large sum if the groom can afford it, which raises the question: is lobolo still about the bringing together of two families or about the money? I also wonder whether the so-called points of negotiation matter when the man can afford it. And when is lobolo a sacred cultural practice and when does it become simply about who can afford it? Is lobolo an extension of the old age phenomenon where only wealthy men are able to get married and settle down? What about the average Jabu? For the majority of men in South Africa lobolo is an expensive demand. Even though it is not a prerequisite for civil marriages, it remains of cultural significance, often rendering marriage unattainable. Unions formed outside these cultural practices are not considered “legitimate” African marriages. In other words, a couple who places value in their cultural practices will not get married until they have enough money to pay lobolo, which now often results in cohabitation. The topic of cohabitation came under spotlight on an episode of the Chatroom when an unmarried couple, Sandile and Sibongile, who have been living together for 10 years came on the show. The couple came on the show to seek advice about how to handle public opinion regarding their situation. They said that they would like to get married one day but due to financial difficulties they have felt it was best to stay together in the same home with their child. In response, one of the “experts” pointed out that Sandile was not portraying a good example for his child by living with Sibongile for so long out of wedlock. The “expert” further suggested that Sandile should try by all means to save up for lobolo so he could do “the right thing”. While women may face challenges, the onus is placed on men to do “the right thing”. Sandile’s failure to pay lobolo was presented on the show as something that discredits him as a responsible man. In a country where 25% of children live with neither of their biological parents and 43 % of children live only with their mothers, it is quite dismaying to find that Sandile and Sibongile’s efforts to keep their family together were discredited in the name of culture. While one cannot deny the effects of colonialism and apartheid legacies on black families, the inability to meet some cultural demands due to structural conditions and other factors acts as an added barrier to the establishment of families. Sandile’s case illustrates how having money (to pay lobolo) is not only a necessary pathway to marriage but also ensures access to full fatherhood. Men who have money are never ugly. They are desirable and accepted. They demonstrate the image of acceptable masculinities. They do the right thing – pay ilobolo and take care of their children. Unfortunately, for those men who do not have resources, they remain ugly, undesirable, less of a man and sometimes absent fathers due to, at times, no fault of their own.